Fresh Cracks in the Blue-State Model? Keep your eyes on Democrat-run Illinois over the next couple of weeks, where legislative leaders have hammered out a scheme to address the crisis of the state’s underfunded public employee pension system. The unfunded liability for the state’s pension obligations is officially estimated somewhere around $100 billion over the next 30 years, but the actual figure is likely much higher as Illinois, like many self-serving public pension funds, still assumes very optimistic rates of return on assets going forward. Forget the exact details of the fix, which includes some obvious reforms such as pushing back retirement age for public employees, reducing automatic cost-of-living adjustments, and lowering the salary formula for calculating baseline retirement payments. There’s one big problem with the whole scheme: it hasn’t passed the legislature yet, and public employee unions vow to fight the vote starting next week. (Some news accounts say the scheme is based on “a Republican plan,” which will add to the fury of the public employee unions.) Expect some serious arm-breaking in Springfield over this. And if the reform plan does pass, unions will file a lawsuit to block it, based on provisions of the Illinois state constitution (and perhaps the U.S. Constitution’s contracts clause) that supposedly guarantee pension obligations. No idea whether they might win such a suit, but if so, life will get really interesting in Illinois, which will become a fiscal system that will exist mostly to pay for lavish public employee retirements and interest on state debt. Good luck funding schools or anything else. 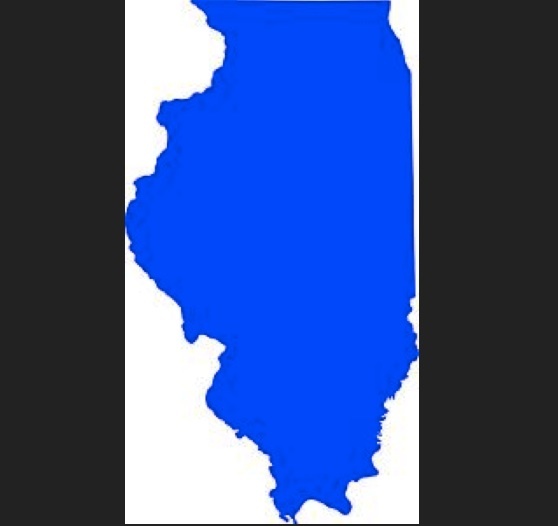 This prospective deal has happened in part because the bond market has turned up the heat on Illinois, giving it the lowest bond rating of the 50 states. Illinois finance officials have become so desperate as interest costs rise that they have taken to reminding potential buyers that debtholders are first in line for payments from the state, which must really be reassuring to asset managers. Any asset manager really want to rely on that guarantee if Illinois gets into a serious fiscal scrape that requires choosing between paying bond interest or keeping schools open? I can imagine a court following the “it’s-an-emergency” logic of the infamous Home Building and Loan v. Blaisdell case and stiffing boldholders. It is fun watching Democrat-run states have to turn on their own competing interest groups, but this pass has been predicted for a while now as the blue-state model hits the wall. It will happen on a rolling basis eventually in New York and California, too. The really interesting question going forward is whether Congress will someday take up and pass a statute providing for the bankruptcy re-organization of states, which is what might be required to break some of the irresponsible public pension promises that can’t be kept. But that’s a subject for a sequel here on some future day.